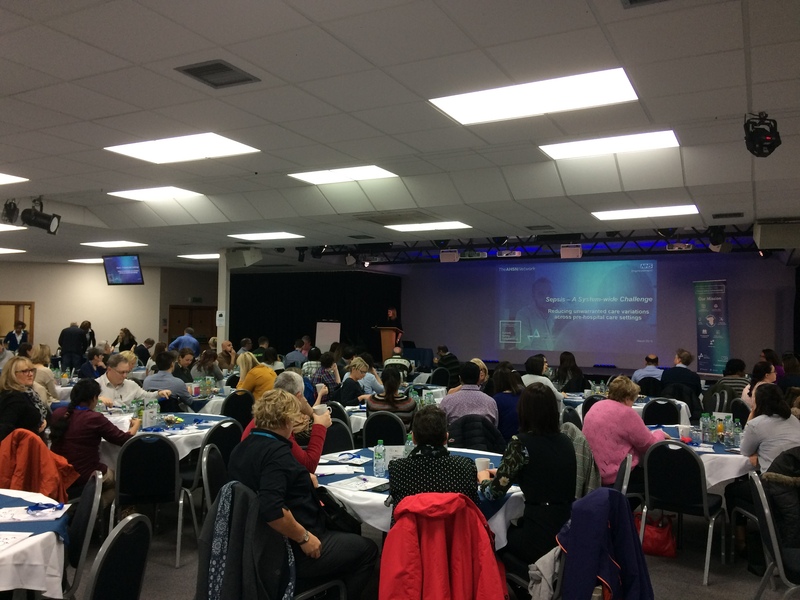 Greater Manchester & Eastern Cheshire Patient Safety Collaborative hosted a learning system event on 14 March to explore the rationale for adopting a system-wide standardised approach to identifying and managing patients with a ‘suspicion of sepsis’. 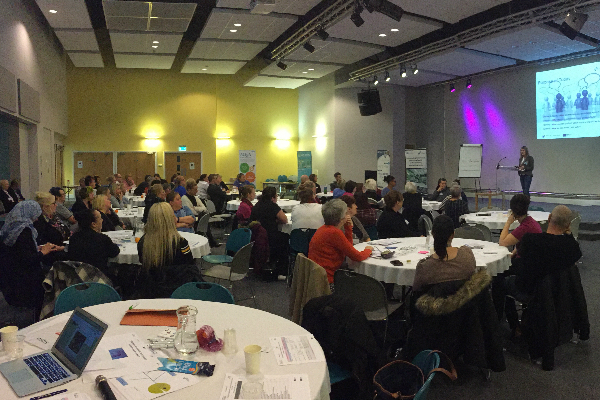 The event was successful in gathering over 160 delegates from across the health and social care system and several patient partners attended, to discuss key issues and identify resources and improvement opportunities to reduce unwarranted variation in the care of patients. Dr Richard Preece, Medical Director for Greater Manchester Health and Social Care Partnership, started by challenging delegates to consider not only how we can improve the assessment, diagnosis and management of a patient with sepsis but how we can prevent it from occurring. Following this, Dr Jaco Nel, a Consultant Psychiatrist shared his poignant experience of surviving sepsis with delegates. He spoke of the significant physical and psychological impact of the disease and how he believes the system must change to prevent others from experiencing similar devastating outcomes. During the morning delegates later heard presentations from Dr Henry Morriss, Consultant Intensive Care and Emergency Medicine and Sepsis Lead for Manchester University NHS Foundation Trust and Dr Claire Lake, GP Clinical Lead for Sepsis. They provided an overview of the burden of sepsis from a national and local perspective and explained why identifying and managing patients with a suspicion of sepsis more effectively is a system-wide challenge. In the afternoon delegates heard presentations from several local exemplar projects. 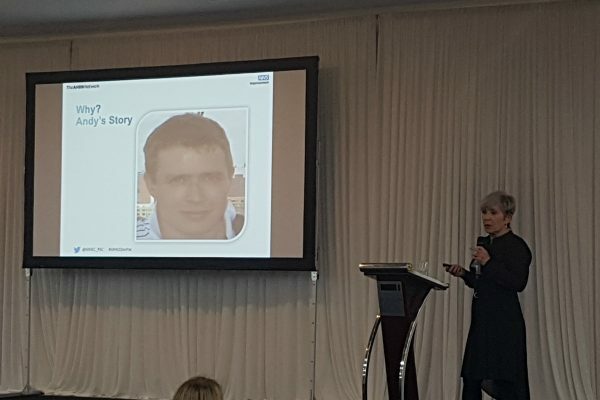 Dr John Caldwell, Research and Integrated Urgent Care Lead and Dr Suzanne, Sepsis Champion and QI Lead at Primary Care 24 opened the session by discussing the implementation of NEWS2 within the out-of-hours service and the importance of cultural change for sustained improvement in primary care. Stuart Lee, an Advanced Paramedic and Sepsis Lead for the North West Ambulance service explained how implementation of a Sepsis Screening Tool incorporating NEWS2 within the ambulance service is improving the care and outcomes of patients with a suspicion of sepsis across the North West region. Jane Mastin, Infection, Prevention and Control Nurse, and Patient safety and Safeguarding lead at Lancashire County Council discussed how the development of a sepsis strategy for care homes and training for care home staff to enable them to identify residents with a suspicion of sepsis quickly and manage their need more appropriately is having positive impact on care. Hilda Brooke and Michelle Hollick then described how practitioners from community services across North Manchester and Heywood Middleton and Rochdale developed an ‘Adult Community Screening & Action Tool’ and an e-learning package to identify and manage patients with a suspicion of sepsis and/or at risk of deterioration more effectively and safely. Finally, during the ’90-day Challenge’ led by Liz Kanwar (AQ Programme Manager at AQuA, delegates were encouraged to develop a plan for how they could improve the identification and management of patients with a suspicion of sepsis within their own area of practice. Dr Tracy Vell MBE, Clinical Director at Health Innovation Manchester closed the event, and encouraged delegates to take away the learning from the event and act as leaders for change and improvement. “I’d like to thank all of our speakers who took time out of their busy work schedules to support the event. Each presentation has certainly stimulated debate and gave guests a lot to think about. I hope delegates were inspired to consider practical solutions that will help reduce unwarranted variation in the care of patients with a ‘Suspicion of Sepsis’ across the system. “As our exemplar projects have shown, quality improvement is possible. There is a lot more work to be done. However, events like this are helping to shape our collaborative thinking, identify and address system challenges and improve the way we manage patients at risk of deterioration, wherever they are within our health and social care system. “I believe that the event was successful in displaying what key issues surrounding the development of standardised approach to managing patients is working, and what needs to be addressed. There is more work to be done, and our events like this are helping to shape the way we manage patients and act fast to identify this serious condition. 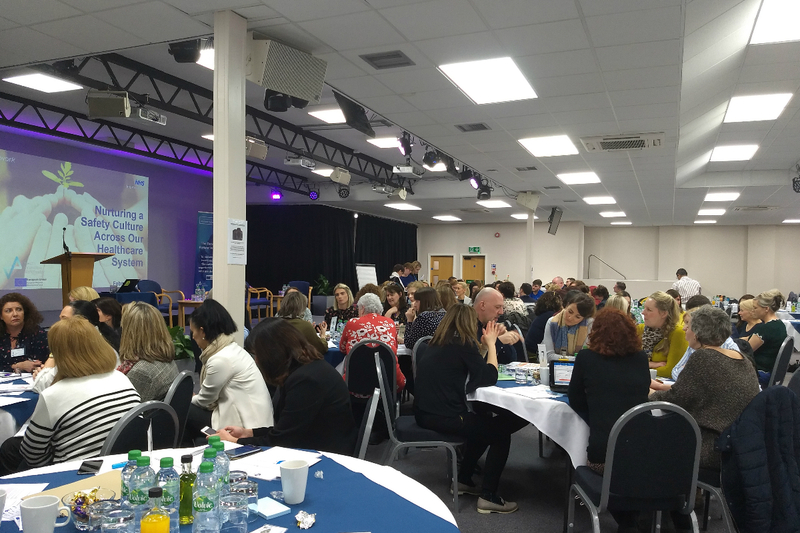 Greater Manchester and Eastern Cheshire’s Patient Safety Collaborative (GMEC PSC) hosted the second Deteriorating Patient Learning System Event.